I came across this article on one of my favorite outdoor information sources - the National Parks Traveler - about the euthanization of yet another bear in Yellowstone National Park. She'd learned to associate the presence of people with the availability of food and had become aggressive in her attempts to get food from them. This included venturing into a backcountry campsite and forcing a backpacker to give up his dinner. Five bears were killed in Yellowstone in 2010 by the time the article was published. It's depressing, and it reminded me of one of the most important lessons I've learned over the years when it comes to playing outside. Those of us who enjoy the outdoors and wild places have a responsibility to protect them and to leave them as we found them. This doesn't just mean avoiding tromping all over vegetation by staying on established trails. It doesn't just mean disposing of the plastic water bottles or granola bar wrappers you use properly. It means having an inherent sense of respect for the outdoors, its inhabitants, and for others who revel in its beauty. And keeping wildlife wild doesn't just apply to big wildlife like the bears in Yellowstone. One of the best ways to see Denali National Park in the summer if you're short on time is through the Visitor Transportation System. There's one 92-mile road into Denali, only 15 miles of it are paved, and non-commercial vehicles are only allowed on the paved portion while the park is open. The shuttle and tour busses, aside from human power, are your only option for park road travel. Tour bus drivers are certified driver-naturalists who can provide in-depth information about the park, its history, and its inhabitants. With two full summers living in Denali, I had plenty of time to explore, but will never forget my first bus trip into the park. I was on a green shuttle bus bound for my first real Denali hike with a new friend, and as the bus lurched forward along the park road, one of the first things our driver made sure we knew was the importance of respecting wildlife. He told us he'd be glad to help us spot moose, bears, dall sheep, anything we could find, as long as we promised to be quiet, and to keep arms and cameras inside the bus. The wildlife, he told us, needed to be protected, and the best way to do that was to make sure our presence didn't affect them in any way. I was astounded that even an excited shout to other bus passengers could affect an animal. 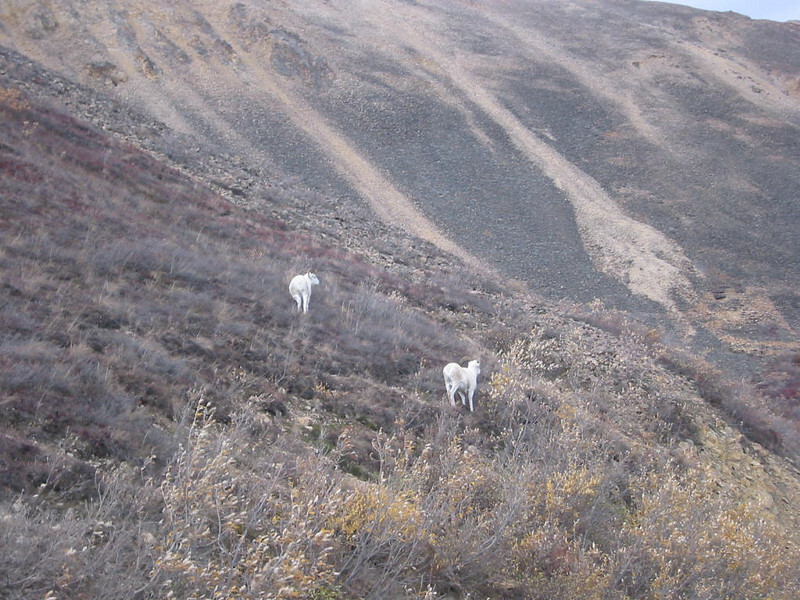 A pair of Dall Sheep just off the road in Denali National Park. They're easy to spot in autumn! One of the seven Leave No Trace principles is to respect wildlife. The Parks Traveler article doesn't make it clear as to how the bear might have become so used to getting human food, but it's pretty unlikely visitors were hand-feeding her. Many animals get access to human food through simple carelessness, and for that reason, proper backcountry food storage and waste disposal practices are vital. 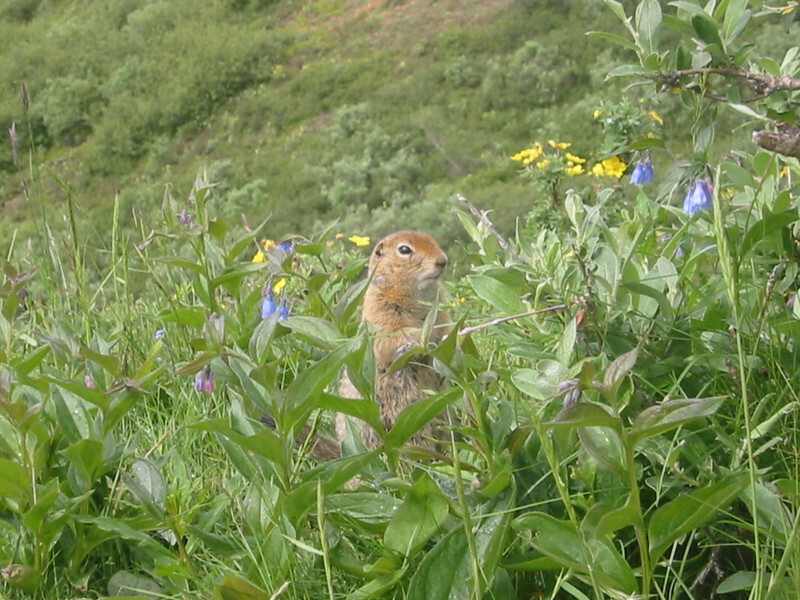 Parks like Denali require all backcountry campers to carry food and other items that animals might mistake as food (toothpaste, deodorant, cough drops) in bear-resistant canisters. 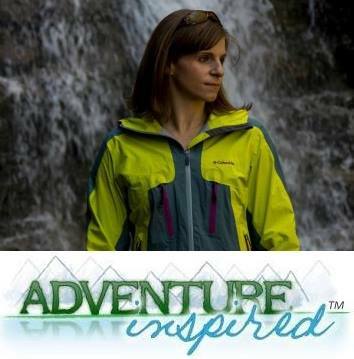 The same requirements exist in the Eastern High Peaks region of the Adirondacks. Campgrounds in Denali have bear-proof lockers and sheds for campers to store items in, as do many other national and state parks. It's as much for our own safety as it is for the safety of the animals. We have to remember that we're visitors to their home, and approaching them for a better photo or a closer look can be incredibly stressful to them. If we're able to enjoy the outdoors without affecting its inhabitants, we'll all be much better off, and euthanized bear stories may be fewer and further between. The Leave No Trace website has some great resources on education and ways to minimize your impact on the outdoors, check 'em out! What Leave No Trace principle do you think is most important? Leave a comment! The most important? That's a tough one. But, for me, I'd have to say "Leave what you find" is the most important. If I find it interesting chances are someone else would, too. A nice article - thanks for writing this up and fostering Leave No Trace Principles! That's a really good one, Justin. We think that taking rocks or picking flowers doesn't make an impact, but if everyone did, it sure would!